With Hurricane Isaac on its way, you can now keep track of your loved ones who are in disasters path! 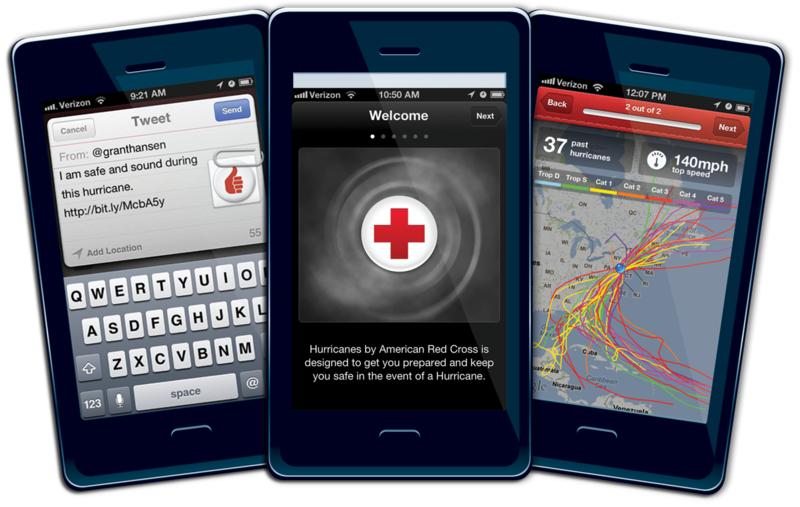 The American Red Cross released its new official hurricane app for iPhone and Android users. And while it won’t be able to stop the awful conditions, it will help you be prepared with easy to understand and follow step-by-step instructions. So, before you rush out to the grocery store for eggs and bread, I would suggest downloading this FREE app for preloaded checklists, tracker maps, and alerts. Fortunately, I have not experienced extreme hurricane conditions in my lifetime, but I have loved ones who live in areas more prone to such conditions than Philadelphia, like Florida and New Jersey. This app sends you real-time hurricane alerts for your area, or any location that you choose. These alerts are sent straight to your phone as soon as the National Oceanic and Atmospheric Administration (NOAA) issues them, even if the app is closed. For each location you set to monitor, the app sends you hurricane warnings, as well as alerts for tropical storms and floods. What I think is great about this app is the toolkit located in the top left corner. It comes with emergency tools like a flashlight, strobe light, alarm and an “I’m Safe” feature. This allows you to connect with others to let them know you are ok in the face of danger with only the touch of a button. 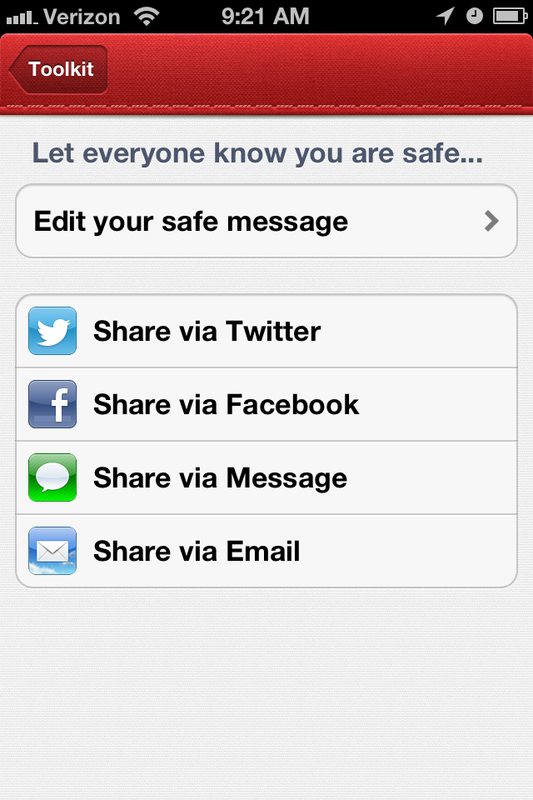 You can personalize your message beforehand and share via Twitter, Facebook, SMS, and email. You’d be amazed how the littlest preparations could save you from a lot of grief. Some of these hurricane preparedness tips are ones that I would never think of, like filling your car’s gas tank or putting your refrigerator on its coldest setting – so if you lose power, the contents will stay cooler longer. In addition to preparation pointers, this app has information on what to do immediately before, during and after the hurricane hits. 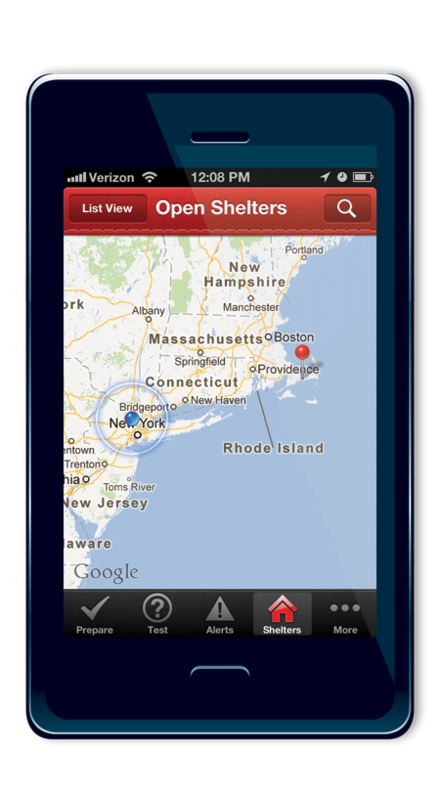 There is also a feature that lets users map locations and shelter details across the United States. You can zoom in on local area and view details on each shelter, such as which agency is managing the shelter, its capacity and current population, the disaster event and the specific shelter address or location. It is quick and easy. This app is u seful even when you’re not necessarily faced with an alert or warning at the moment. Prepare for disaster by testing your hurricane knowledge and preparedness. There are three quiz categories (history, knowledge and prepare) in which you can earn achievements and share them with your friends. And if you are particularly interested in hurricane history, you can also look back 150 years and see how many hurricanes have hit your area. In Philadelphia, we’ve experienced 34 hurricanes – the top speed being 135 mph!